Bring power to a location on your job site or event. Portable power distribution center uses GFCI technology to provide users with the highest levels of electrical safety. Gives users open neutral and reverse phasing protection. Built tough to withstand jobsite conditions. Trip Level: 4-6 milliamps. Trip Time: Less than .025 seconds nominal. Note: These units are for end of line use only. 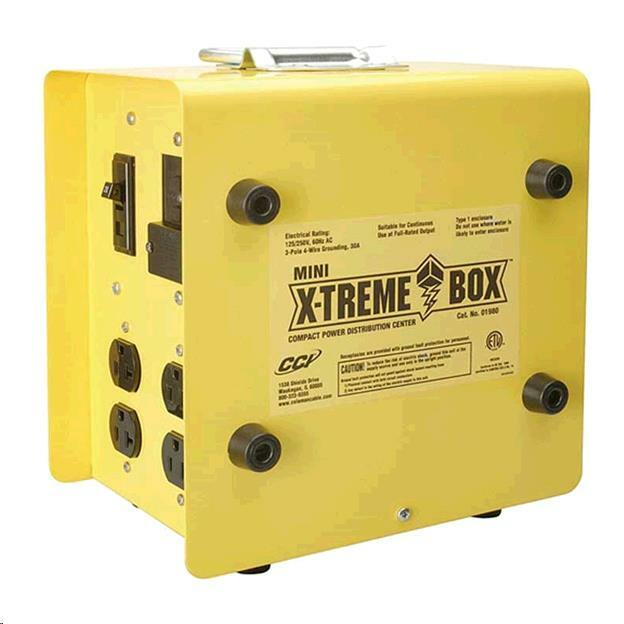 * Please call us for any questions on our temporary power box small rentals in San Jose, Campbell, Salinas, Santa Cruz, Watsonville, Morgan Hill, Hollister, Santa Clara, Gilroy, Milpitas Sunnyvale, Fremont, Salinas, the Greater Bay Area and the Monterey Peninsula.